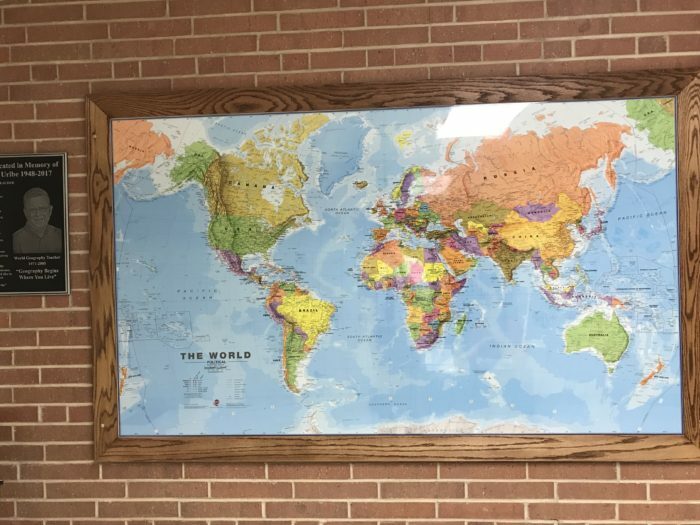 On the second floor of Holdrege High School, located between two Social Studies classrooms, one can’t help but notice this large glass encased, framed world map and plaque. 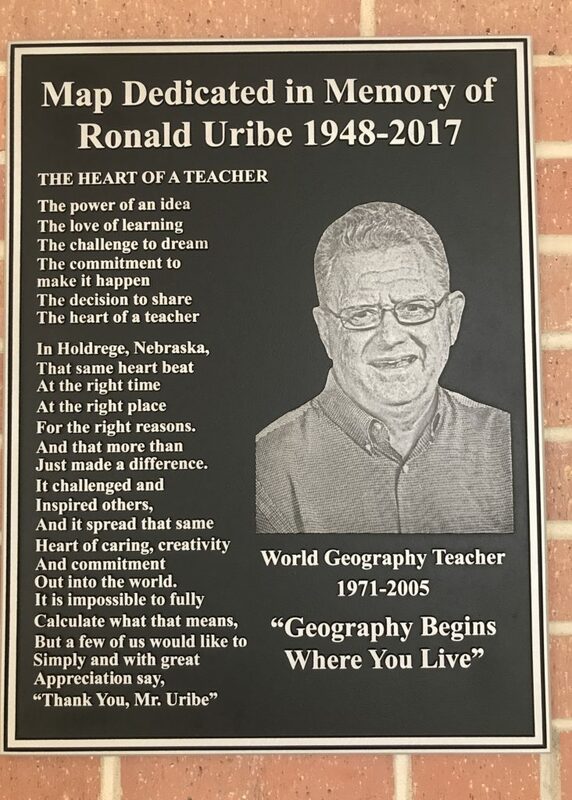 The Uribe family presented the map and plaque to the high school as a tribute to Mr. Uribe’s teaching career there. He was the World Geography Teacher from 1971-2005 at Holdrege High School. Thanks to Mike Williams, Terry Shield, Mike Hudson, and Corey Young for framing and installing the world map.